A team from Britain’s Pedal for Progress is attending the Baltic Sea Peace conference in Kiel, Germany. The conference coincides with events to mark the centenary of the Kiel naval mutiny by revolutionary sailors which sparked the German Revolution, and brought down the monarchy. 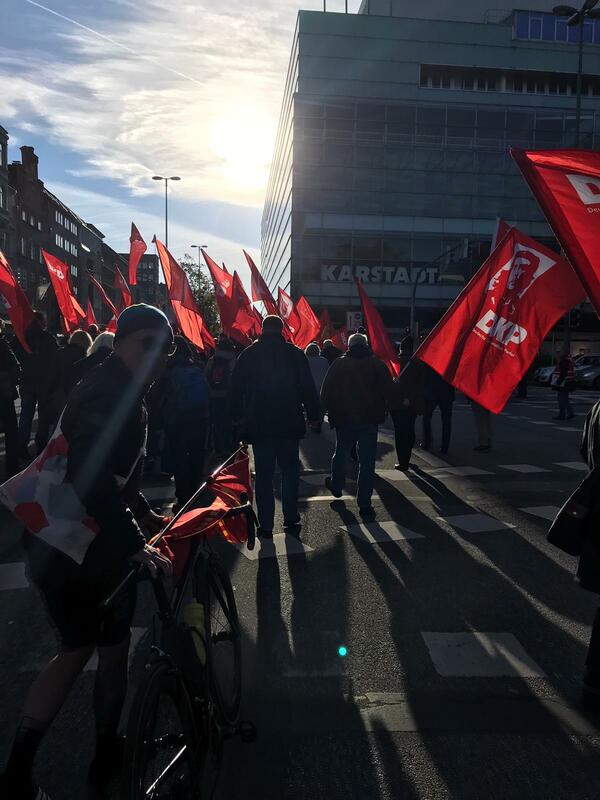 The Communist Party of Britain sends its greetings and solidarity to the conference convened here today and greets the six other participating parties. 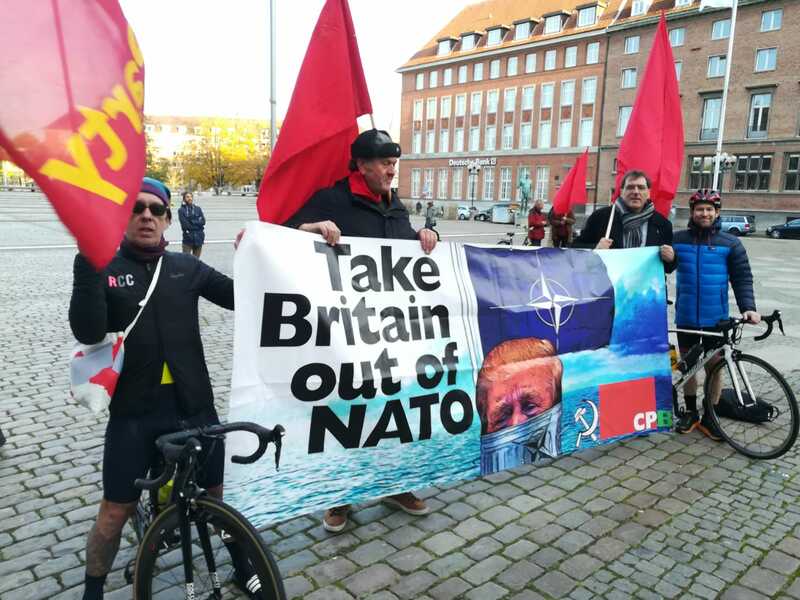 Our party expresses its grave concern at the heightened militarisation of the Baltic Sea in which the British government has played a major part.. The aggressive stationing of NATO troops within the Baltic States and the past month’s naval exercises underline both the dangers to world peace and the importance of securing the Baltic Sea as a sea of peace and mutual cooperation. Exactly a hundred years ago the sailors of the German fleet at Kiel refused to continue their participation in an imperialist war that had resulted in over 20 million deaths and in doing so helped bring that war to an end. Today, as we commemorate their heroism, we need also to heighten our own efforts to build mass movements for peace across Europe. We congratulate the Communist parties of Germany, Russia, Finland, Poland Sweden and Denmark for their initiative in convening this conference and commit ourselves to work in Britain to develop the movement for peace and disarmament.